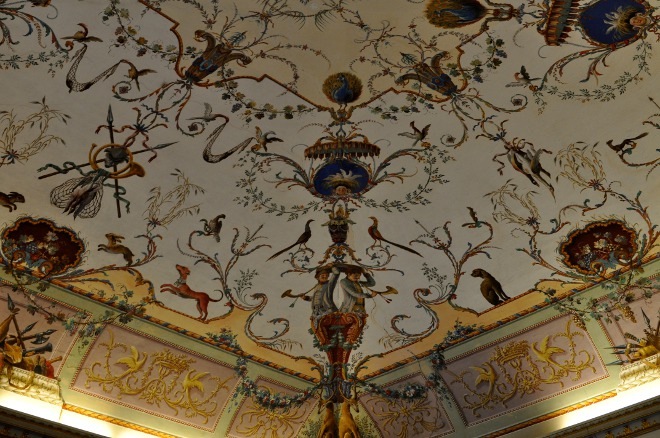 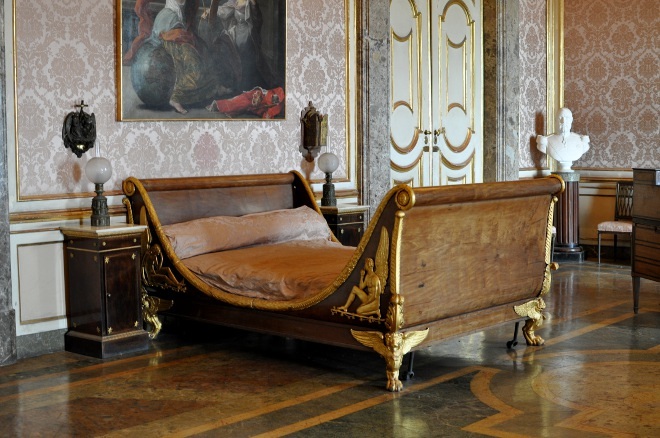 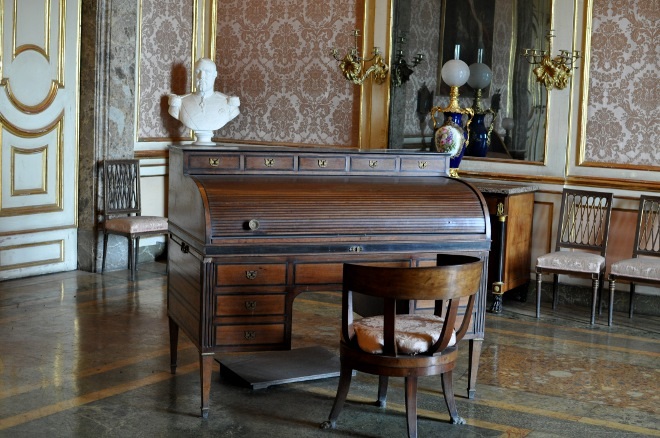 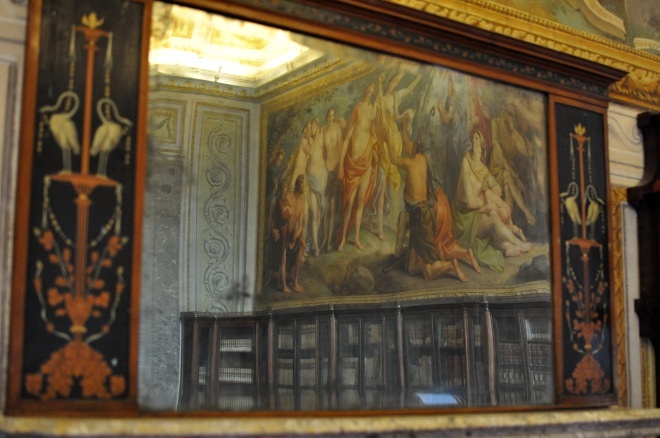 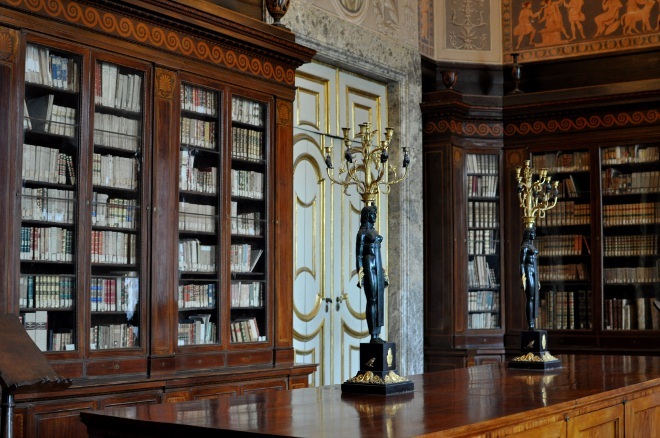 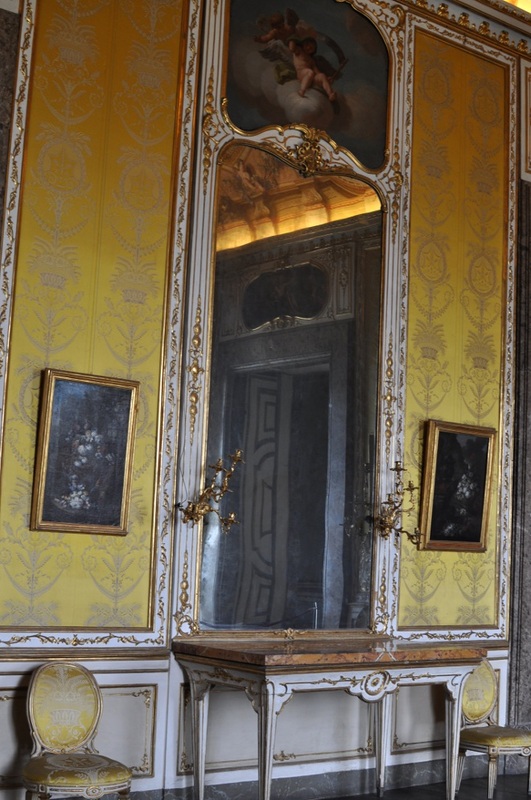 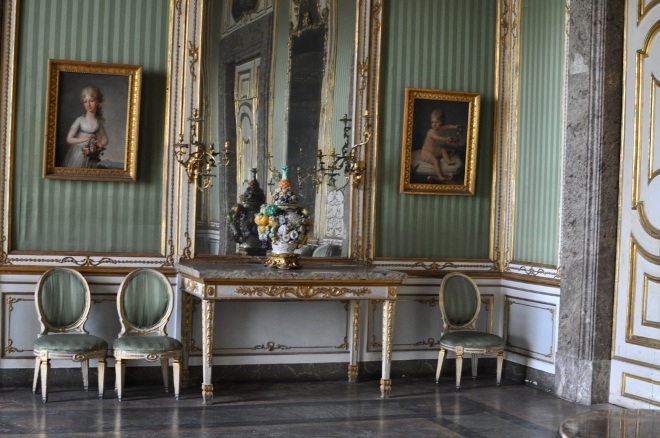 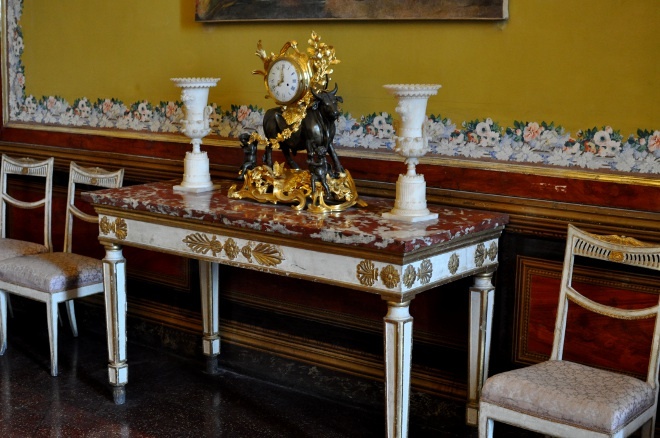 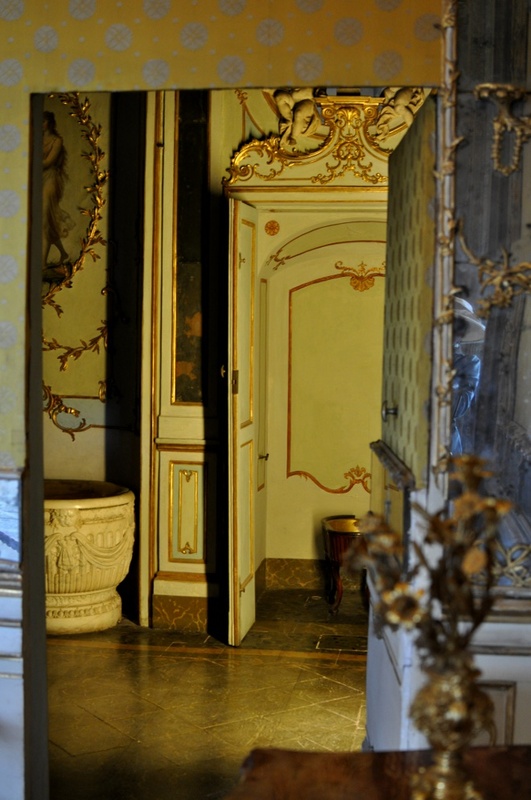 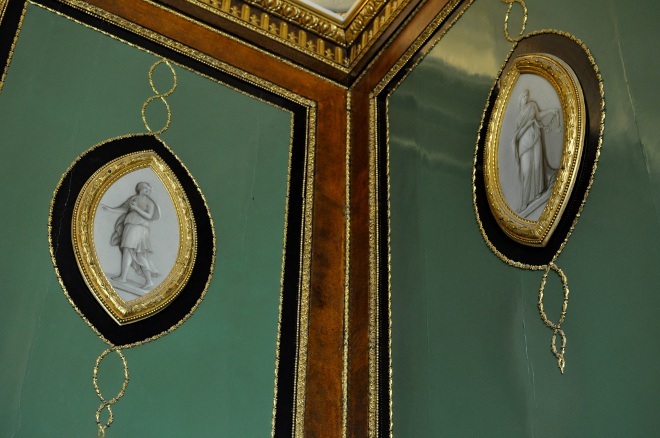 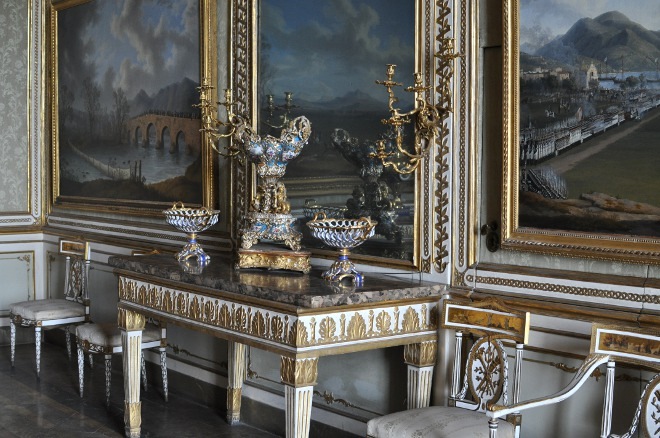 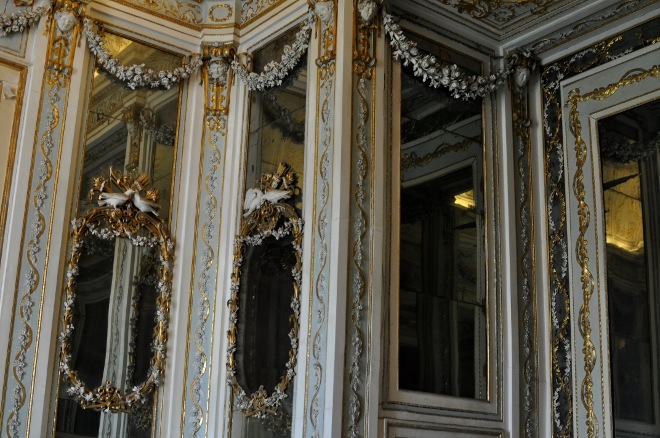 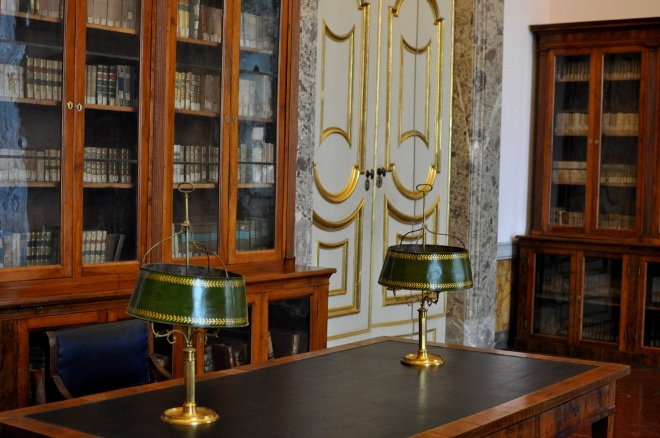 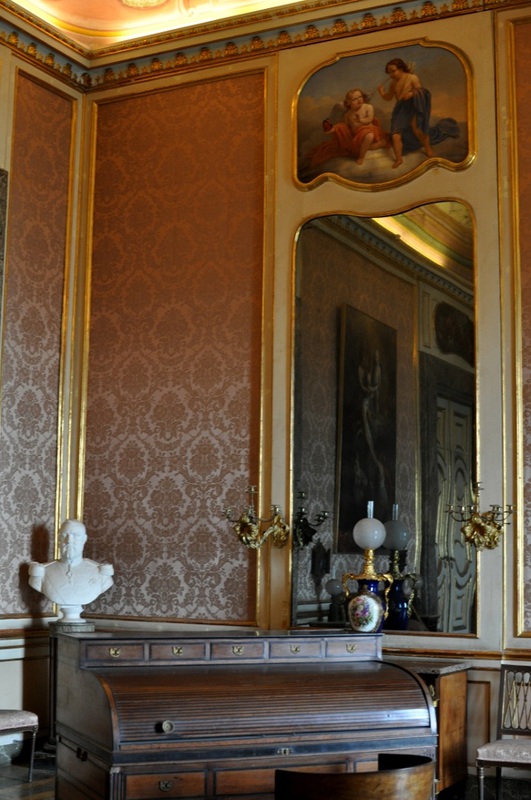 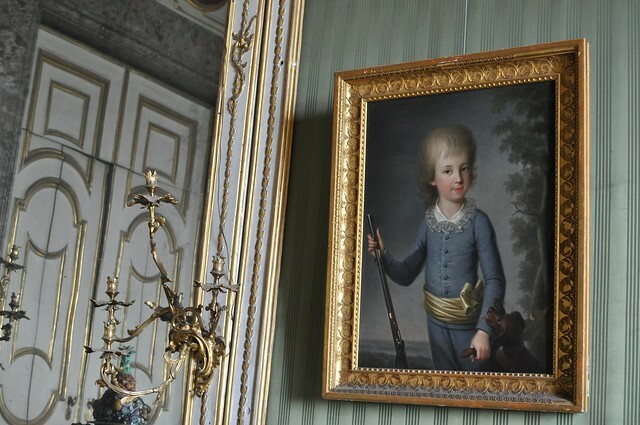 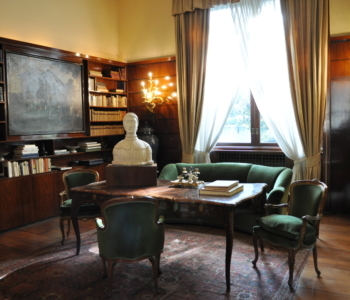 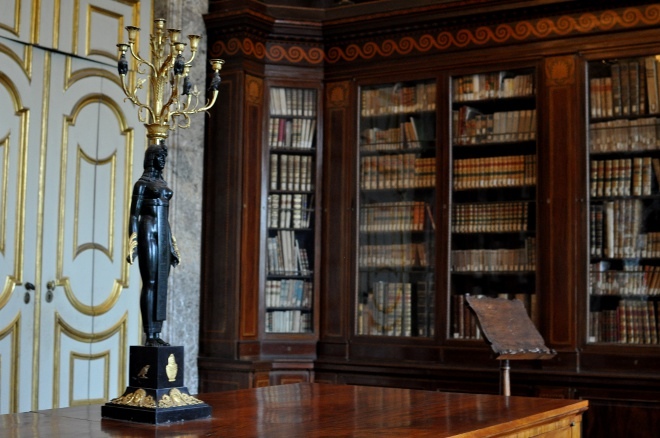 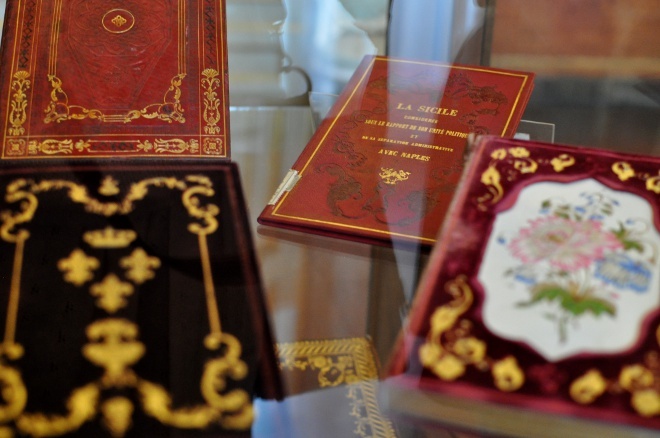 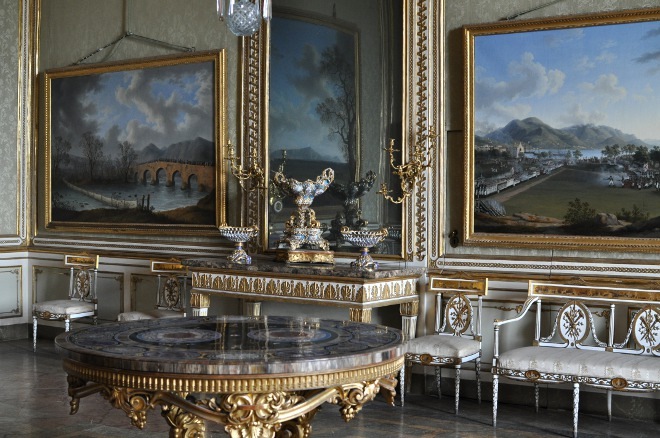 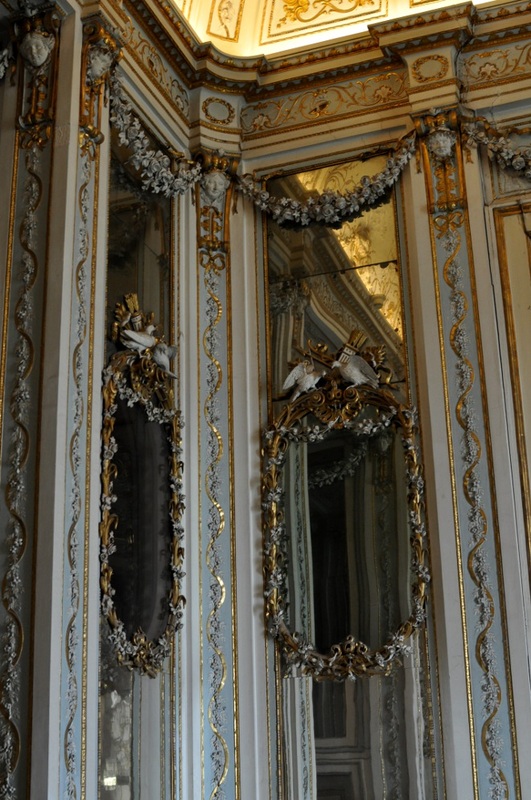 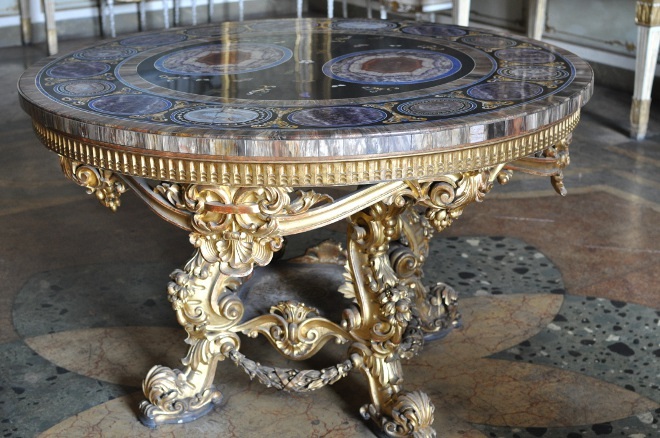 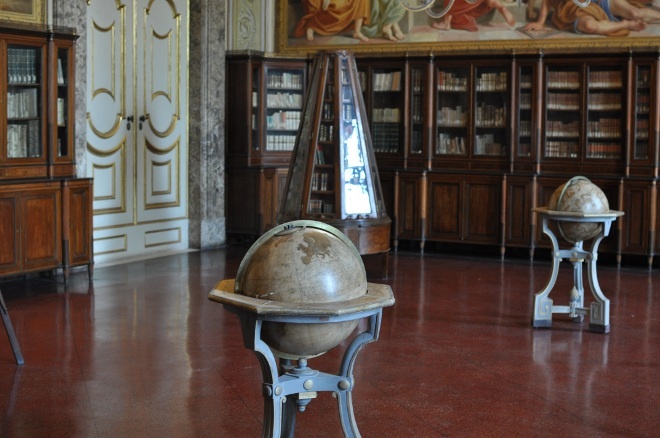 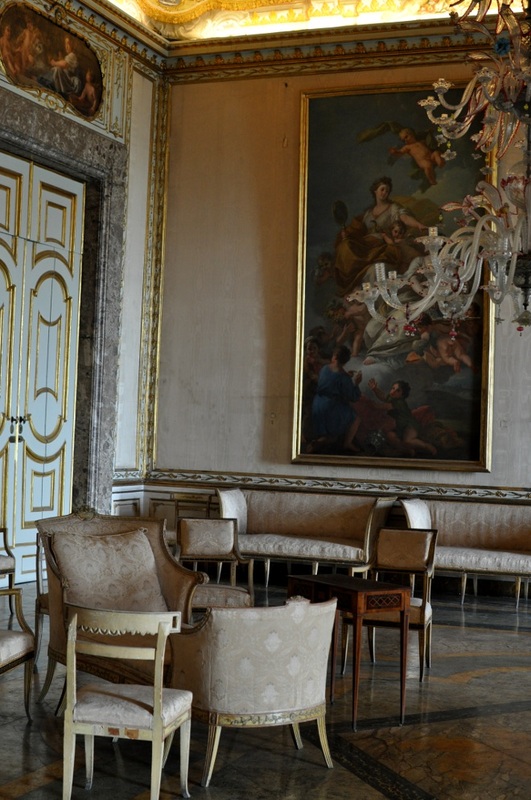 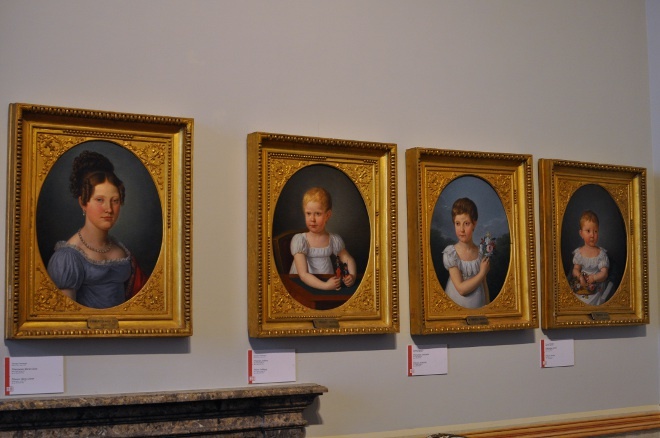 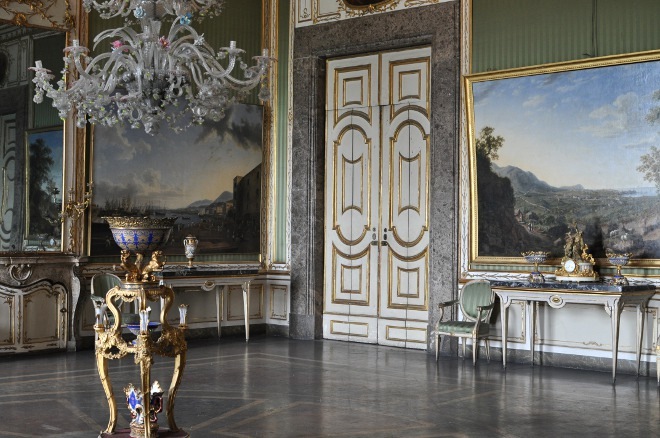 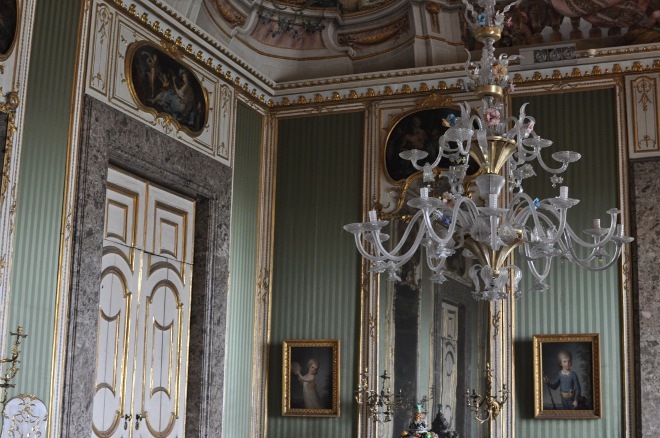 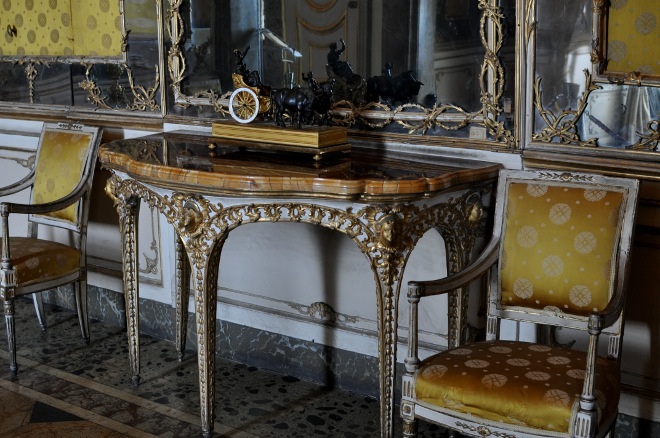 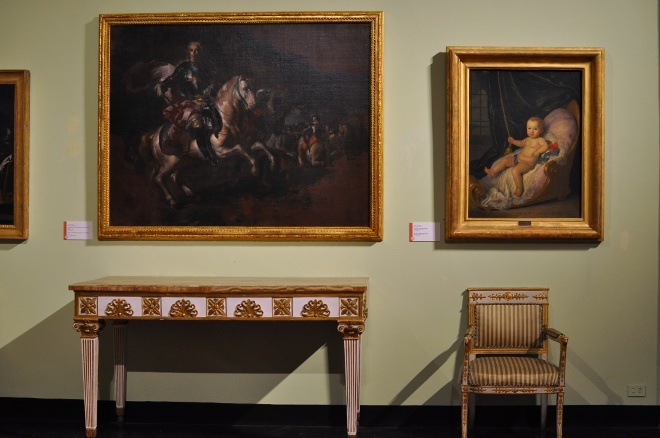 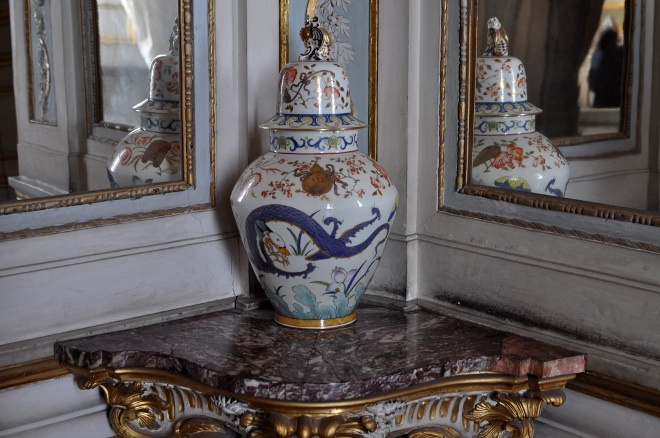 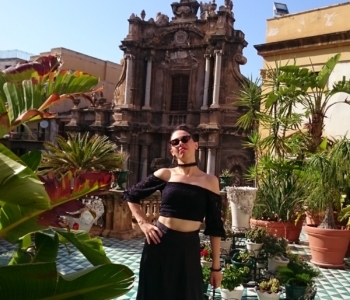 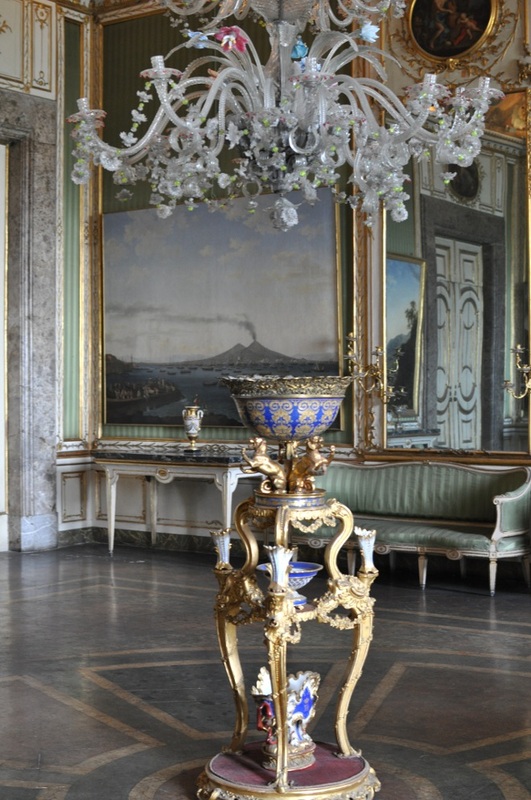 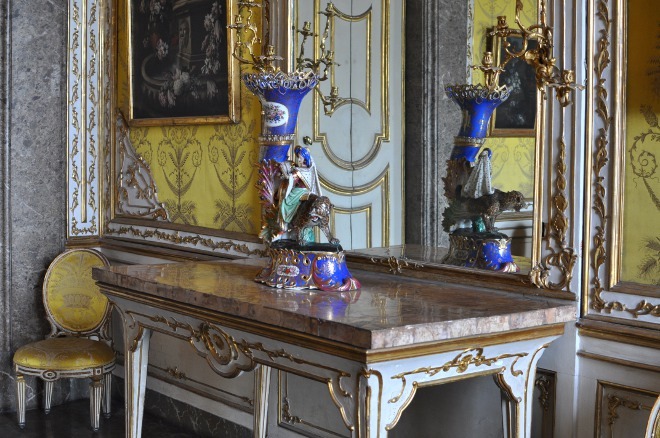 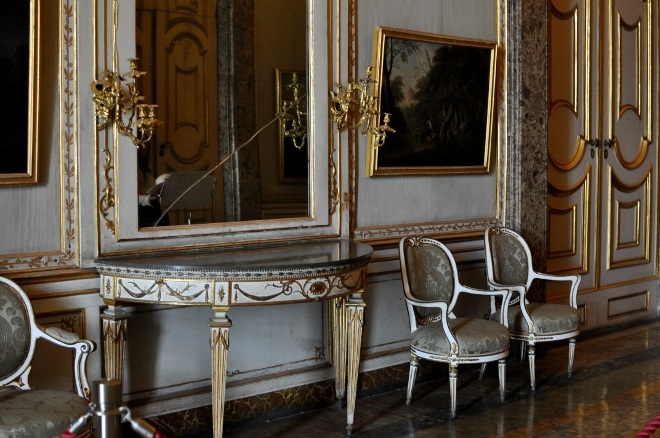 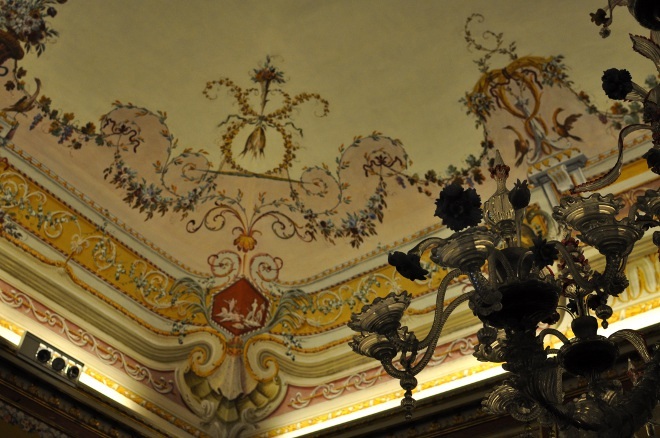 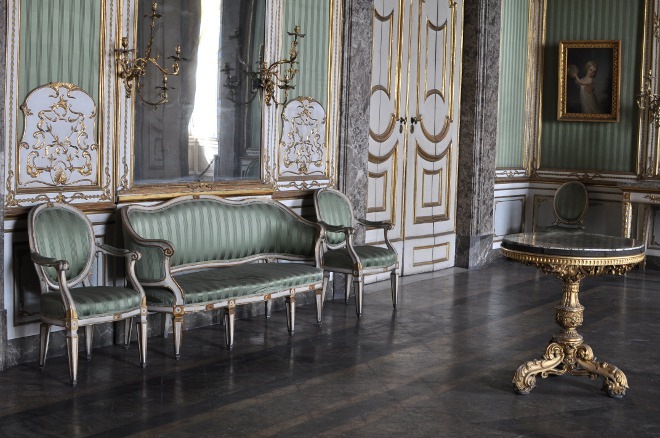 The tour inside the wonderful Royal Palace of Caserta is divided in two section: the newer part, or the 19th century apartments, and the older part, or the 18th century apartments. 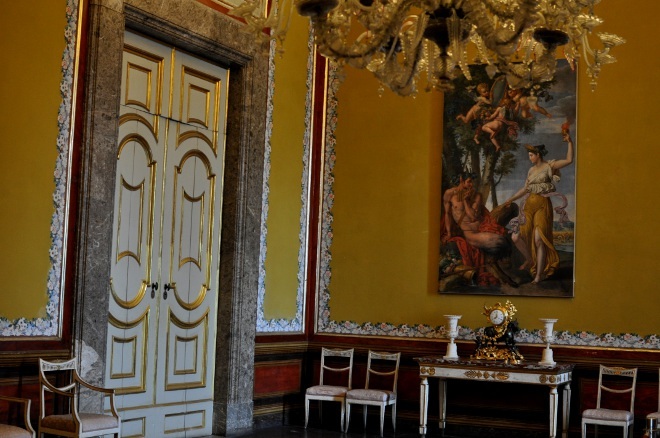 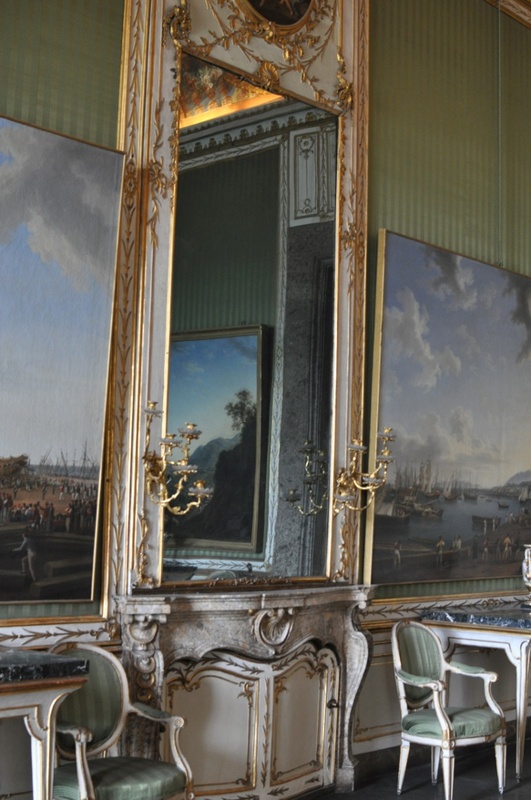 The older part of the Palace, also called the 18th century apartments, was lived by the Bourbon court since Ferdinando IV. 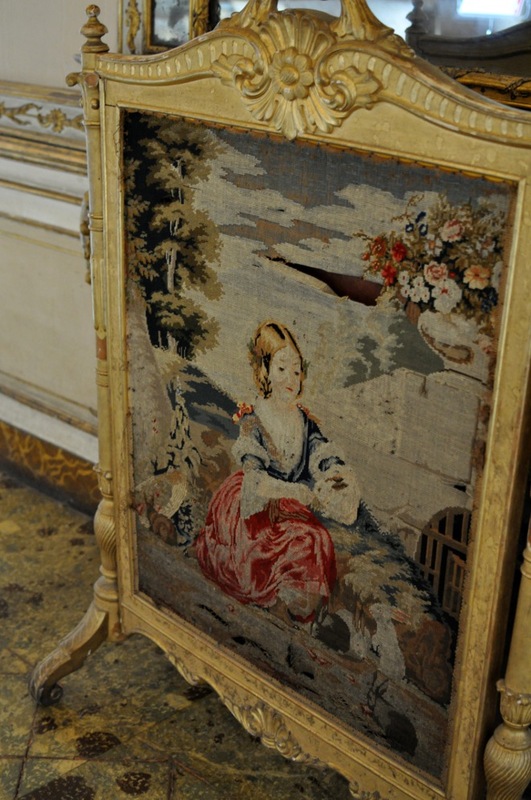 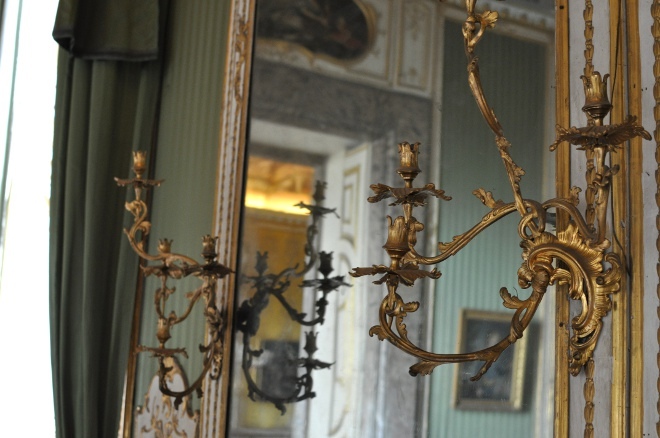 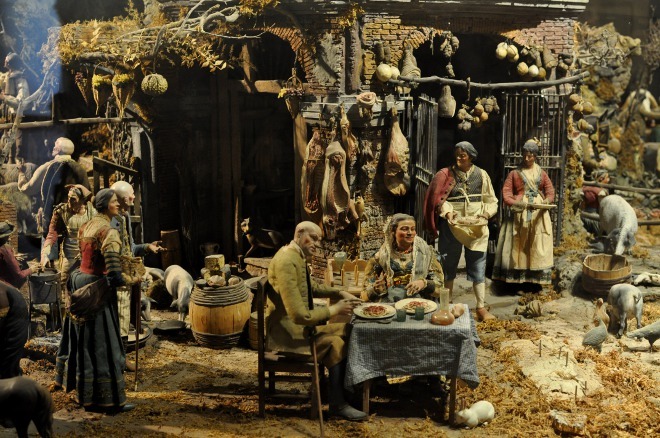 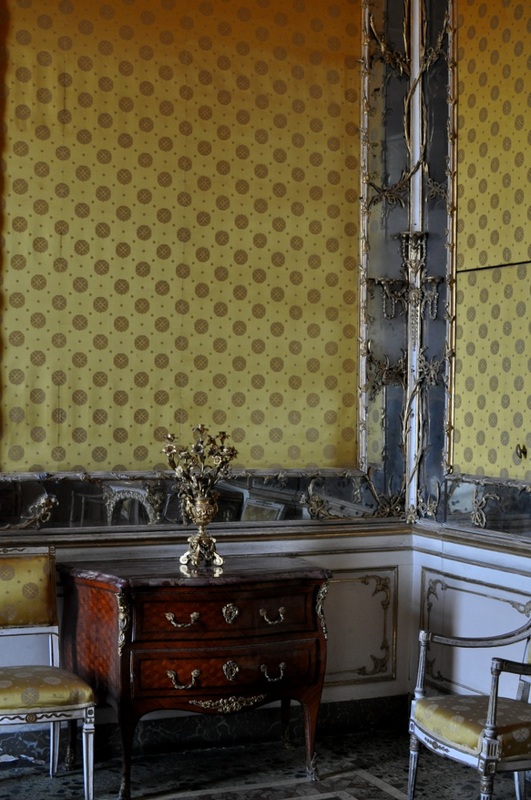 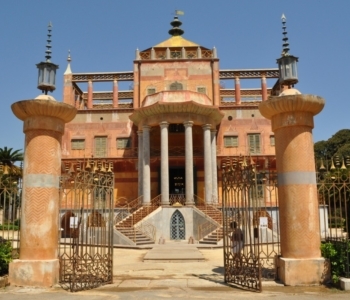 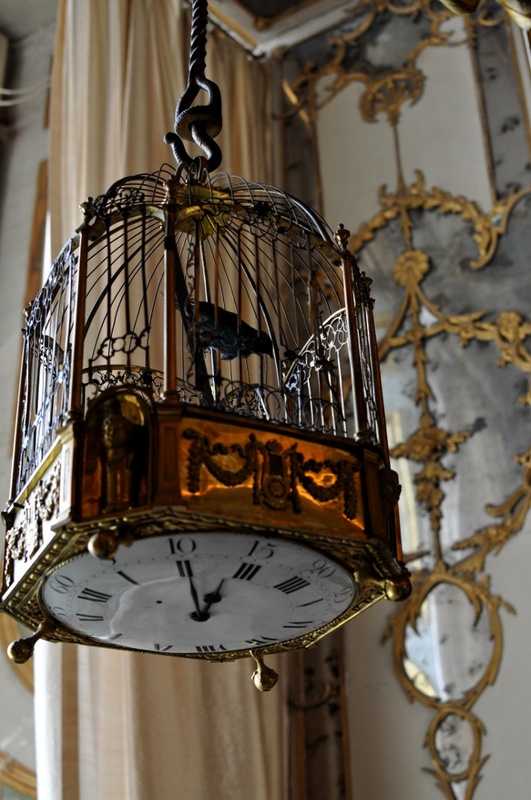 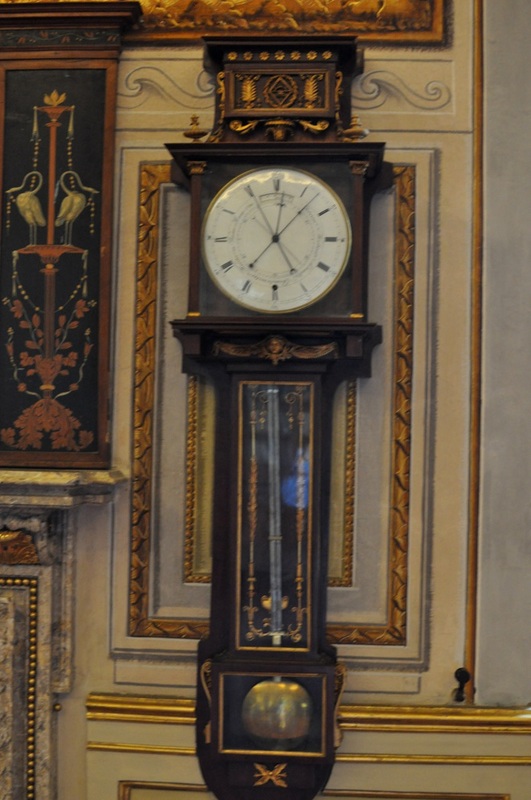 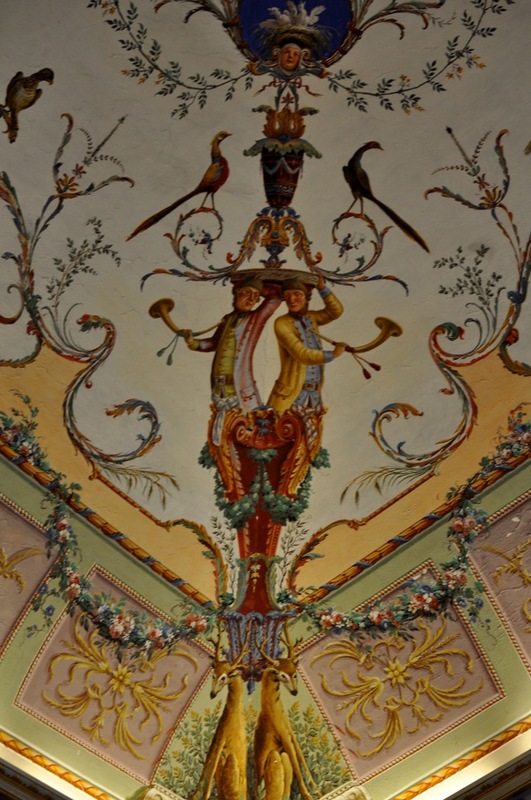 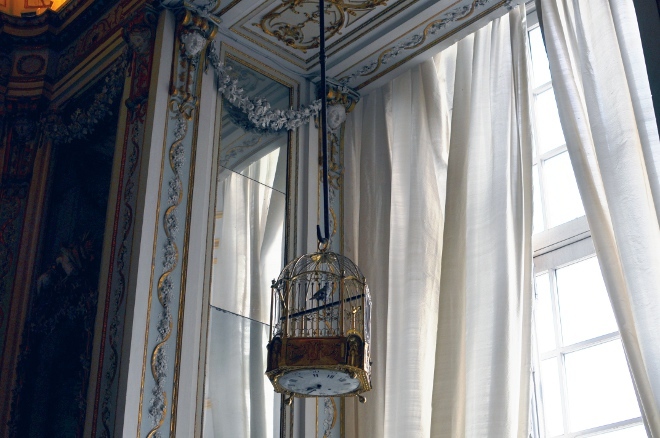 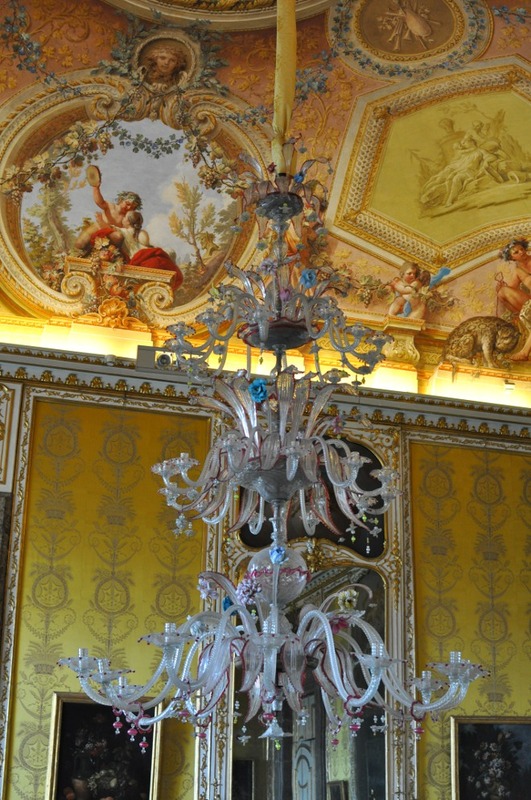 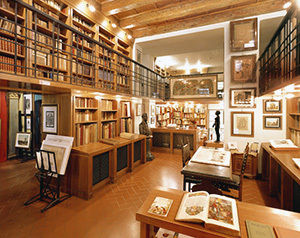 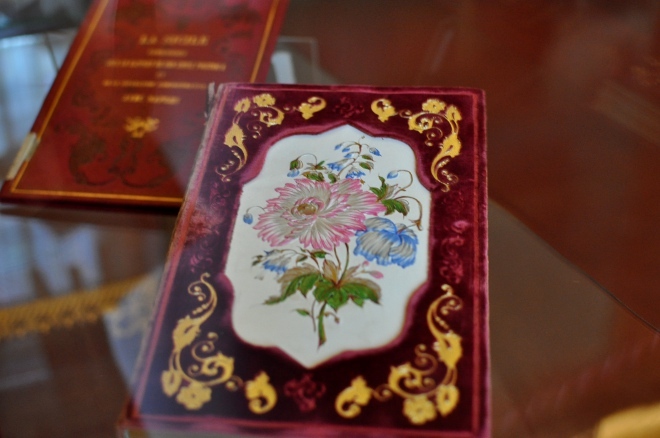 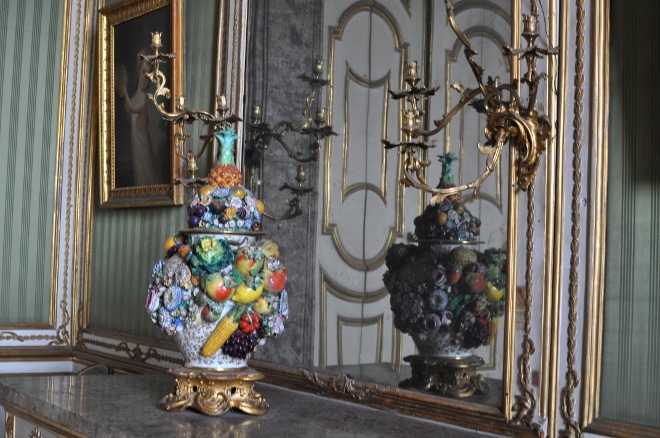 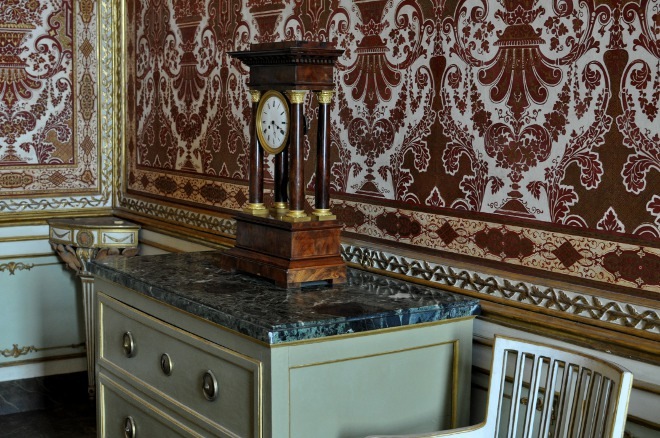 Rooms are smaller than the 19th century ones, more decorated and styled in the typical baroque and rococò taste of the late 1700: silk wallpaper covering the walls, chandelier in glass of Muran hanging from the ceiling, big gold framed mirrors, polychrome ceramic vases and incredibile objects like this bird cage with a clock on the bottom. 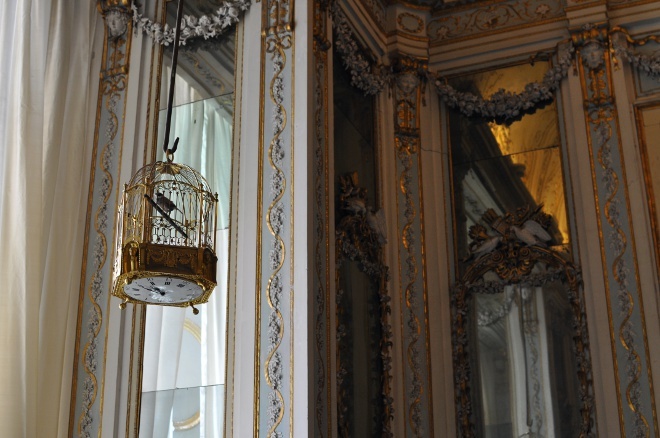 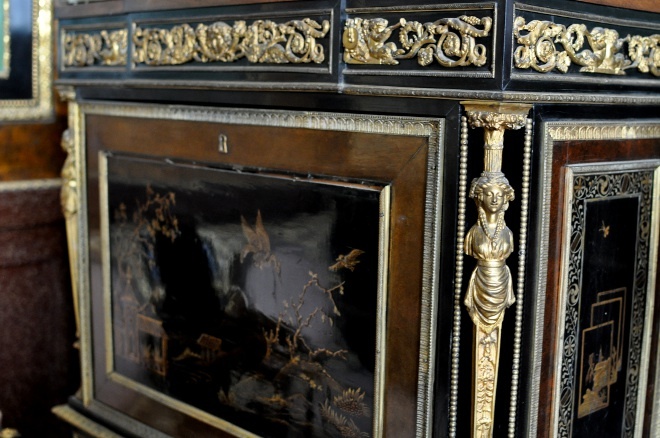 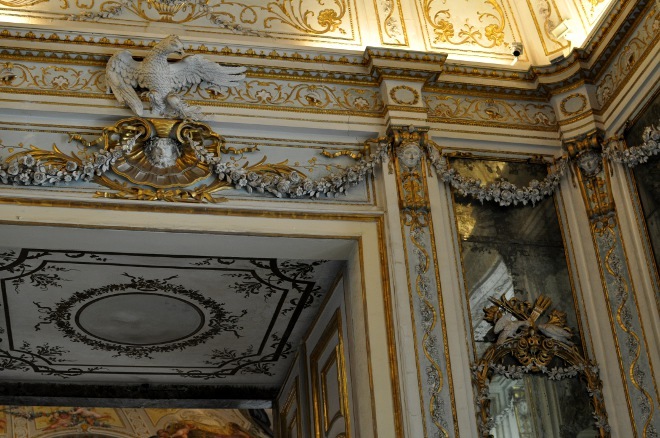 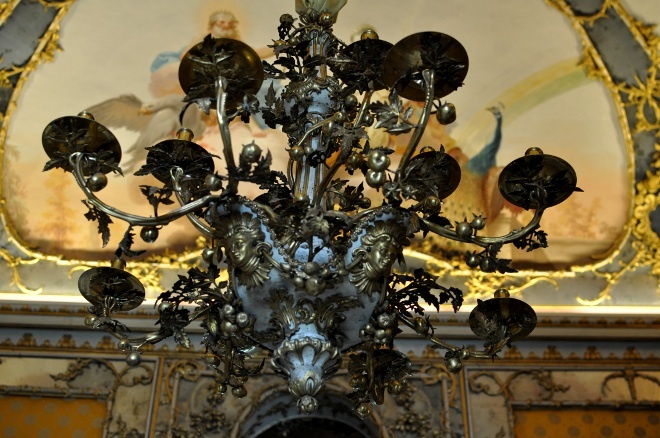 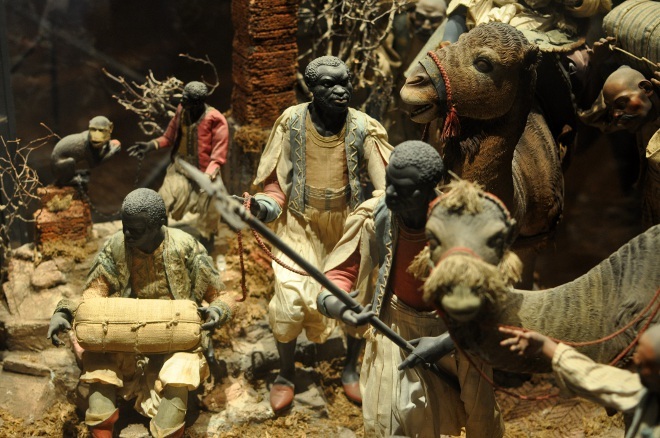 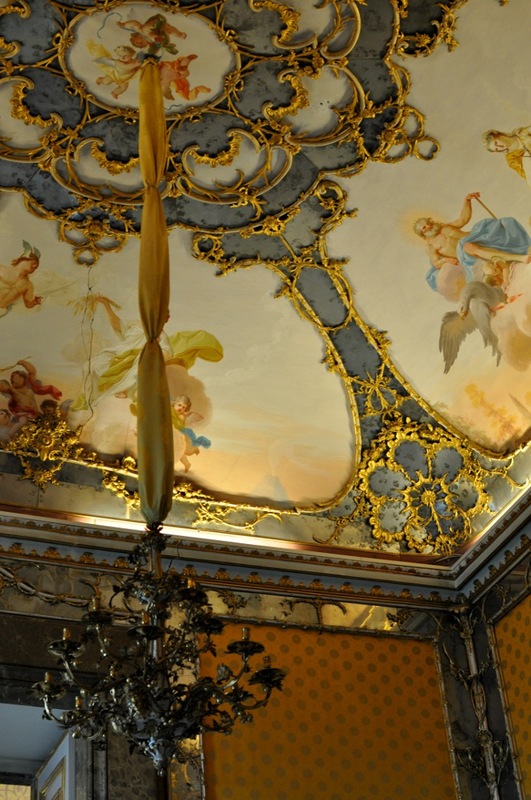 You can find this amazing bird cage in the Queen Maria Carolina Boudoir, the most decorated of all the apartments. 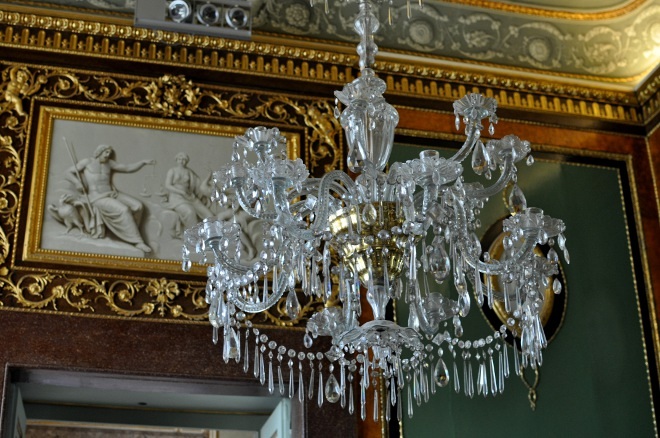 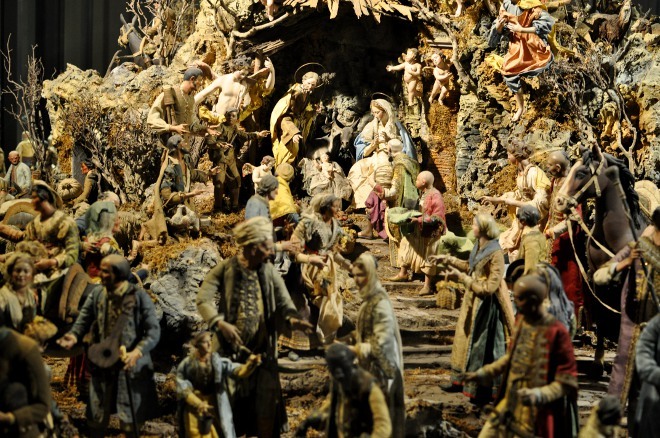 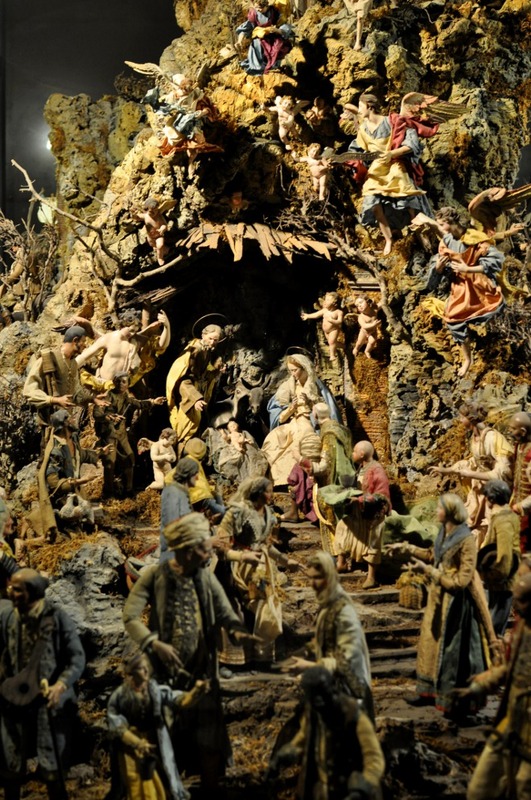 I preferred this part to the 19th one, it ends with a big creche in the elliptical hall which was once used as a theatre for the royal court.